Why not head to one of the many breweries or vineyards that Cornwall has to offer, for a tour and taste session? The county boasts a vast array of independent brewers that allow you to experience the process of making real-ale, cider, craft beer and wine, with the opportunity to try it too. Skinner’s Brewery in Truro offers daily public tours led by experienced guides, followed by tutored beer tasting in the brewery’s tap room. Or if ale is not your thing, then head to Camel Valley Vineyard for a Grand Tour & Tasting and savour some of the best wine that Cornwall has to offer. Take a dive into Cornwall’s waters and book a couple’s surf lesson with Wavehunters at Polzeath over on the North coast. Although not the warmest time of the year to go surfing, this is the perfect opportunity to bond with your partner as you battle the Cornish waves together. Wavehunters cater to all abilities, and you need not worry about acting the hero – all the instructors are qualified lifeguards. For more information vist Wavehunters’ website. What could be more romantic than a stroll through the county’s picturesque landscape? Very close by to Fowey is Gribben Head, which is famed for its association with Daphne Du Maurier. Her home in Menabilly at Gribben Head was the inspiration for some of her most broodingly romantic novels. The walk along the South West Coast Path towards Gribben Head offers breathtaking views as well as features of historical significance. 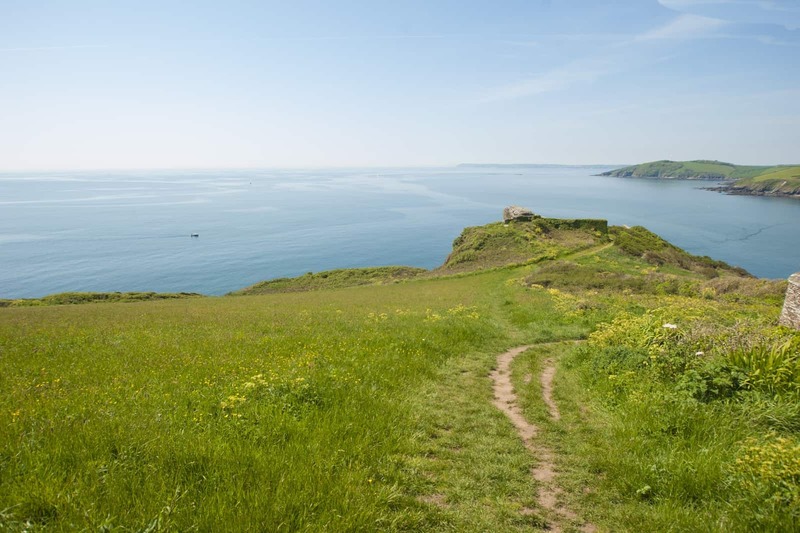 Visit the South West Coast Path website to find out more. The beautiful coastline between Tregony and St Mawes means that you and your partner can pack a picnic and have the drive of your life on Valentine’s Day. The Roseland Peninsula offers exciting and winding rural roads, with occasional glimpses of spectacular scenery. 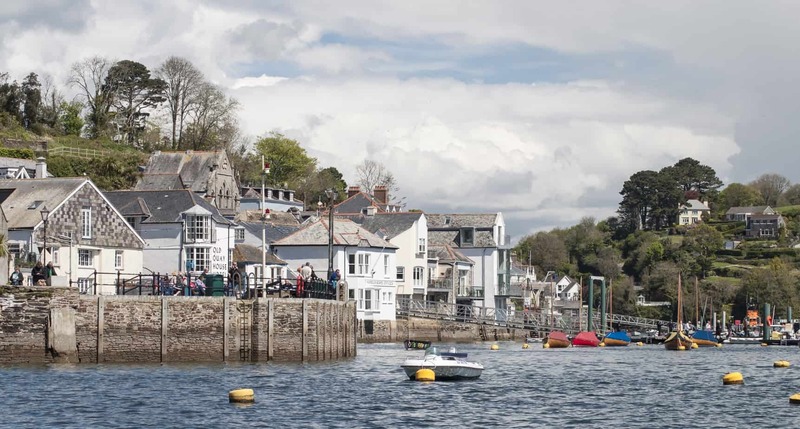 Indulge yourselves in a mini adventure as you explore a network of lanes that lead to chocolate box villages and hidden coves. Discover other scenic drives here. Head over to Lusty Glaze beach and cosy up beside the fire with some hearty food and warming drinks for one of their famous Woodburner sessions. Musician, Chris Webb will be playing an acoustic guitar set to accompany a romantic evening watching the waves. 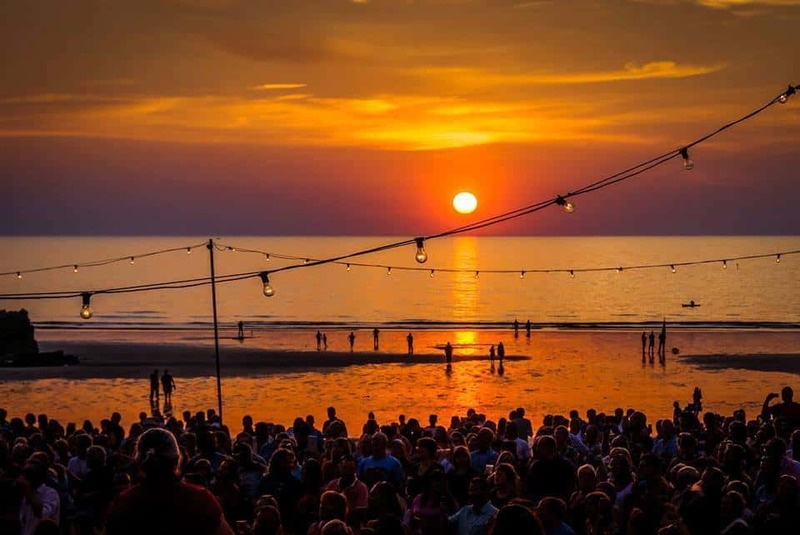 For more information, visit the Lusty Glaze website. Cornwall certainly isn’t short on manor houses or castles. The National Trust and English Heritage maintain a number of properties all around the county. Feel like King and Queen by exploring St Catherine’s Castle which is just 10 minutes walk away from the centre of Fowey. Located in the quiet Readymoney Cove, this 16th century fort offers fantastic views of the River Fowey estuary. Entry is free and crown wearing is allowed. A glass of Veuve Clicquot Kir Royal awaits you on arrival, followed by an exquisite 7 dish Valentine’s Day menu featuring poached oyster, cucumber and caviar, and beef fillet with pomp purée and king oyster mushroom. The Old Quay House is the perfect location for you and your loved one to spend a romantic evening away together. With luxury rooms that overlook the picturesque River Fowey, it is sure to impress this Valentine’s Day.